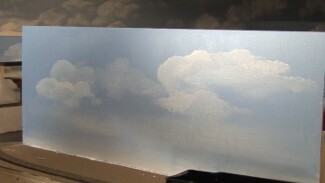 The nonlinear model railroad layout has largely become the preferred choice for modelers in recent decades, as it allows for more involved scenes and tends to better keep the viewer’s attention. However, there are still many loud proponents of the linear design who tout its unique benefits and, oftentimes, realism. One of these supporters of the linear HO layout is David Barrow, who uses this style of modeling in his spectacular HO layout of Cat Mountain & Santa Fe Railway. Modeled after the arid landscape of West Texas, David’s linear HO layout is a great testament to the staying power of linear designs. 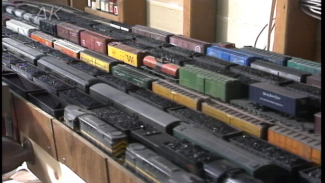 In this segment, host Allen Keller visits the master modeler’s studio to learn a bit about what it takes to create a great linear HO layout. To demonstrate the positives and dissuade you from the potential drawbacks of a linear HO layout, David walks you through some of the thought process he went over when mapping out and constructing his HO layout of the Cat Mountain & Santa Fe. He begins by discussing the issue he has with nonlinear layouts, and explains why he chooses to opt for a linear HO layout instead. Naturally, a linear layout made the most sense for this particular model, as David was modeling a wide open prototype that travels through the expanses of dry Texas. Later in the lesson, Allen asks what David does to address any depth limitations that arise when modeling a linear HO layout. 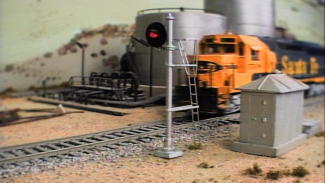 You may have encountered the issue with your own HO layout in that a linear scene tends to offer little in the way of depth, and therefore might hinder realism. But David has an expert method for dealing with this concern, and says that lack of depth is actually a positive for most of his scenes. Consider taking advantage of David’s masterful tips and techniques when you work on your next model railroad, and see if you don’t prefer creating a linear HO layout!